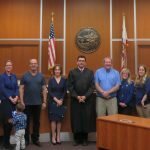 CASA (Court Appointed Special Advocates) has a new staff member to help volunteers be the voice for abused or neglected children in Santa Barbara County. With over 300 children being served every day, and a waiting list of more than 80, Kira Farrell is ready to help. As the Marketing and Communications Coordinator, Farrell joins the CASA team with bright ideas, confidence, and resiliency. 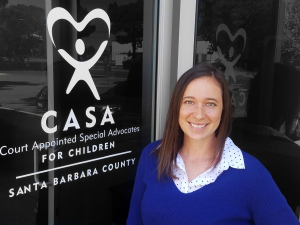 Her diverse background in non-profits, fundraising, and advocacy brings a new energy to CASA to help meet the goal of making sure every child in need has a CASA volunteer by their side. As a Cal Poly Cheerleader for four years, Farrell was often the bridge between the university and important donors, alumni, students, and families. 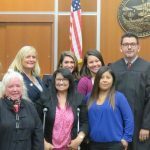 Using her expertise in communications, extemporaneous speaking, and oral histories, Farrell hopes to increase the number of volunteers CASA attracts by creating memorable and engaging social media posts, website content, and other printed materials. With experience at the local YMCA and animal shelter, Farrell has a firm understanding of what it takes to work for a non-profit, and the emotional resiliency it demands. 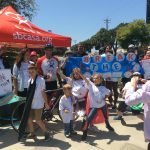 “It’s vital to tirelessly fight and never give up for the children who need our help” commented Farrell, “I know that my work will make a difference.” No stranger to hard work, Farrell attained a Bachelor’s Degree in Animal Science from Cal Poly San Luis Obispo, while simultaneously being a college athlete, professional sorority president, and working up to three jobs at a time.